Can I learn to dance at home? The Health benefits of dancing are astounding. In addition to the physical work out you will stimulate the learning areas of the brain, which are proven to make us happier and healthier. Can I really learn to dance at home? I wish I had a nickel for ever time I have been asked that question. The answer is a simple yes! Now I am not saying that you are ever going to win the Pan Pacific, or the Ohio Star Ball, or the biggest dance competition in the world The Blackpool Dance Festival, but you can learn to dance for a wedding, a cruise, or most any other type of party dancing. There are many different styles of dance so the first thing you need to do is choose the style you want to focus on. 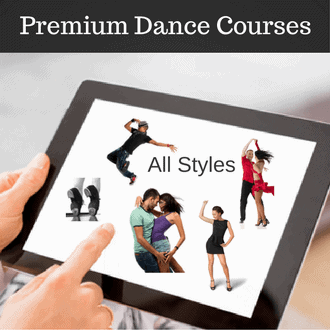 Check out our online dance lessons to see all the different styles we have lessons for. That will come later! First you need to learn the most basic footwork patterns and learn the timing of the dance. When you are learning to dance from home, the most important thing is to actually get up and copy what the instructor is showing. Most of our lessons show the teacher from the back angle so you will be able to quickly and easily pick it up. Once you got that you will need to learn the proper technique used so that you are not just stepping – but actually dancing. Then, you will need to learn how to lead and follow you partner. Lastly, you can then start to focus on some styling. 1. Get up and try the moves. Don’t just sit there the whole time and watch. Actually get up and try the moves where ever you are. You don’t need a lot of space. 2. You don’t need a partner. If you are learning a partner dance you may think that you need a partner to learn how to dance – but that is so far from the truth. You need to be able to do everything by yourself. 3. Watch the videos more than once. Most people can’t remember everything they learned from the online video lesson. But that’s the best part of learning to dance from home – is that you can come back and watch that video as many times as you need. 4. Learn the steps and technique in the right order – Don’t skip to the middle or end of the video if you haven’t mastered the first steps yet. Watch the video in the order it was made to make sure you don’t miss any information. So go ahead and start learning dancing from home!